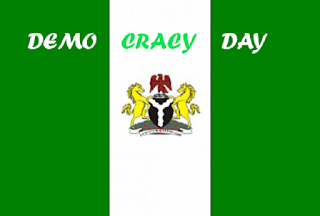 The Federal Government of Nigeria has declared Tuesday, May 29, as public holiday to celebrate the 2018 Democracy Day in Nigeria. The Minister of Interior, retired Lt.-Gen Abdulrahman Dambazau, made the declaration on Friday in Abuja on behalf of the Federal Government in a statement issued by the Permanent Secretary, Dr M. Umar. Dambazau congratulated Nigerians on the occasion and pledged government’s continued dedication to entrenching democracy in Nigeria. He also urged all Nigerians to trust and support the government in its commitment to building an indivisible, peaceful and greater nation based on the tenets of democracy. The Minister also seized the opportunity to wish all Nigerians a Happy Democracy Day celebration.